Home Fitness SIP! SIP! SIP! Hydrate – Don’t Hesitate! SIP! SIP! SIP! Hydrate – Don’t Hesitate! I’ve had many long runs go wrong. Sometimes I ran too fast in the beginning, other times I’ve had chaffing (the deadly summer), but most of the times – I think I did neglect a systematic understanding of hydration on long runs. And that was the year of 2016! The year of NEGLECTING BASICS! 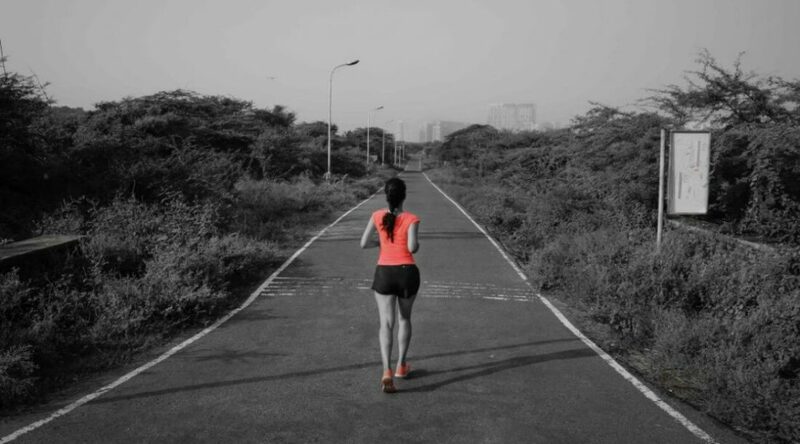 SO here I am, writing a few tips for that beginner – who is loving to run, loving the sweet pain of running, enjoying the early mornings with her run buddies, getting fitter but in all this love and it’s madness – maybe making the cardinal mistake of forgetting to Hydrate! I am going to first tell you that not being properly hydrated can lead to fatigue, decreased coordination, and muscle cramping – and your degrading as an amateur athlete. When running long distances over 12-13 kms miles it is best to start hydrating a few days prior. This is what has worked for me the most. And understanding this has taken time and a few bad runs! This is the best way to make sure you are ready for your run. Hydration starts 2 days before the long run – I keep it as natural as possible. So I either stick to water or make home based drinks like buttermilk, lemon water with black salt. Sometimes I depend upon various hydration drinks available in the market too. They take less effort and go best with a very busy schedule. It is the pre-hydration efforts that ensures I don’t need to overdo my liquids while running. On the day of my long run– a simple solution for loading back the electrolytes for my long runs is enough. Back in 2015 – I was introduced to Enerzal – A simple solution that doesn’t load me up on the calories and gives me all the electrolytes I need. I am back on it again. You don’t need very many complicated sports drinks, because the pre-hydration effort counts a lot. I’ve run a lot this summer – and have been constantly working on my hydration. Don’t make the mistake of drinking large amounts of liquids just before your run. Max limit – 500 -600 ml before every run. During your run it is a good rule of thumb to try to drink 200 ml per 20 minutes; however, every runner is different! It’s a lesson learnt – Even though I don’t like to carry anything in my hand while on a run, ‘not wanting’ shouldn’t be confused with ‘not-needed’. On long runs, liquids are needed – that’s it! A mild electrolytes solution is the most basic and the best way to stay hydrated and perky for a long distance beast! Don’t let the weather fool you – Often runners think because it is cooler out so they will not sweat as much and therefore do not need to hydrate as much. This is a misconception which can lead to serious dehydration. Anyone active, needs to hydrate! Anyone on the road for a long run – cold or hot – needs to hydrate. How much –is the question you need to figure out as per how much you sweat! Don’t take a large amount of water in one go – drink it slowly. It can make you feel heavy suddenly and bloat you too – making it difficult to go the long distance. Small sips go a long way! I hope to get the point across with this blog that Hydration is key to becoming a better runner, to enjoying long runs and keeping your active self in good form! My hydration partner for the month of September and October is Enerzal. Together we managed to get by a lot of weekend miles. So go try what works for you, remember the larger idea is to stay hydrated, get back your electrolytes lost while sweating and keeping it simple! What does a Night Run mean to you?